Tears. They fuel spaceships. Sometimes they are so concentrated that a handful from one person can fuel a thousand ships. 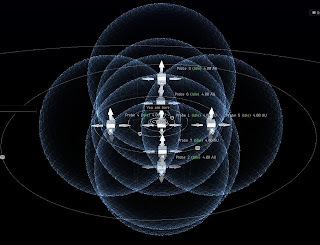 I may be too seeped in Eve information. 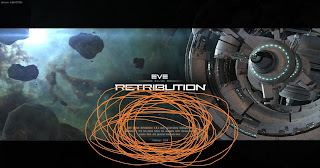 The only things that I found shocking about the patch where the things that popped in at the last minute (DED 1/10 and 2/10 removal on which we have still not yet heard back from CCP) or things which were not announced. For the most part there have been few of these problems and it has been more a matter of catching up and figuring out processes. The talks about the patch have been ongoing for months. We learned what it was called back in September at the London meet. The changes have been gone over, tested, reassessed, argued upon, agreed upon, hated, loved, cried over and raged about for months and months. Yet, the moment Retribution hit the game the floodgates opened. I don't have enough buckets to harvest all of this. People do not read the patch notes. At all. I watched someone ranting and raving in one chat room about the new changes. 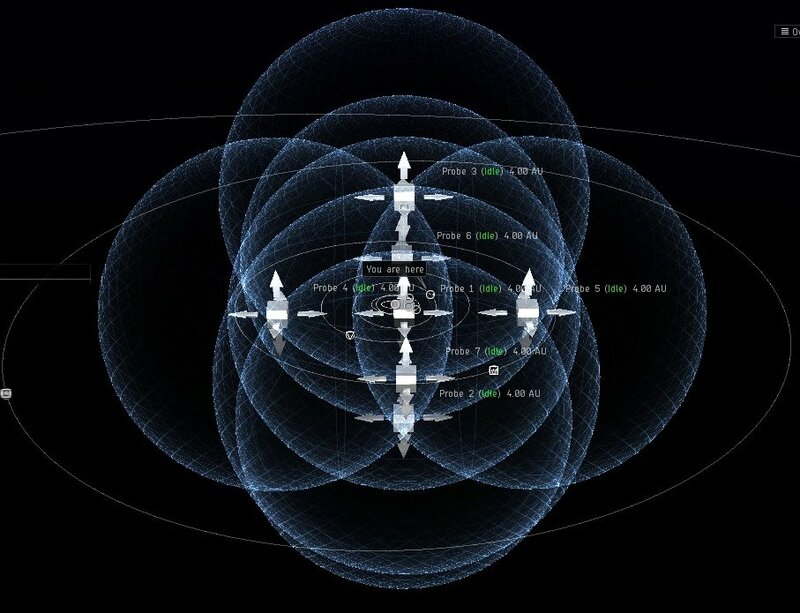 From the person that ranted "High Security space should be just that ...High Security ..all other space ...Go For It" over bounties to the one that said "Bounties should not be allowed to be active in hi-sec space! IE -0.5 in order to claim" the general air has been filled with people not paying attention. Oblivious player "Nothing screamed "UPDATE" at me. I play this game casually and do not care much for reading every little patch note detail about the games update. I just like to log in and do missions. Get over yourself please." The below picture is the response made by the person that he pointed out that the Patch notes were clearly marked. There are gankbear tears over the removal of neutral logistics. People who stand up and say, an I think they are actually serious, that Neutral Logistics that could instantly dock and help out people ganking carebears in high sec were very sensible While the original poster of the thread is a special type of insane it does not diminish the delicious fine vintage of his tears. The mission runners are upset. I'm not surprised. A huge issues are the aggression to drones. Having done my normal group in sites I can say that the ship to ship aggression is also irritating. My origional complaint was on many of these topics and I was, for the most part, shot down and told that the AI changes would be fun and exciting and bring back spice to mission runners. What was expected to happen is happening and people are horrified. Surprise! From the unhappy people posting all over the Eve Mission Forums that doesn't seem to be the case. And then there are those that are telling them to get over themselves. My favorite is the bounty hatred. The changes allow bounties to be placed on everyone. If you right click someones name the 'place bounty' is an option. People are slapping bounties all over every one and everything that they can. I find that the wanted sign is a bit to large myself. I think it should be about half its current height. But the tears the bounties are causing. People, again, have not read patch notes or Dev blogs. The first few hours after the game was back up was mass carnage. People found out that they could be podded with suspect flags. They thought that they could shoot people that they could not and lots of people assumed that bounties equaled kill on sight rights. And those that are horrified that their kill rights are up to the public. Oh noes! I did something and now something can happen to me! I'm somewhere between amusement and rolling my eyes. Its been interesting. With all the raving about sound I decided to put my head set on and listen for a bit. I remembered that I used to love Eve with sound. I started to turn it off because of voice coms. Of late, I almost never speak on voice coms so the only thing stopping me was the fact that I didn't want to wear my headset. I don't like things over my ears. I decided to get over myself and give it a try. I've noticed a few visual changes that I didn't expect. One is that my probes look a bit different. The blue is more grid like. I like it but I stare at this screen enough to notice an immediate difference. It is nice. The music is different but not bad. The new explosions are interesting. The AI changes are irritating but I prepared for them. I haven't done anything overly hard yet. Right now I'm just letting myself drift back into things and slowly work my way up. I didn't bring my Legion on vacation with me because my scout had to stop training her legion skills to top off destroyers and battlecruisers. The NCPs hate the logistics. As soon as Chella lands on grid and starts repping everything tries to kill her. It turns into a game of the logistics character kiting everything and nothing trying to harm anyone else. Way to go to encourage people to play a ship class that does not even have weapons. I'm not going to waste my time losing my drones right now. 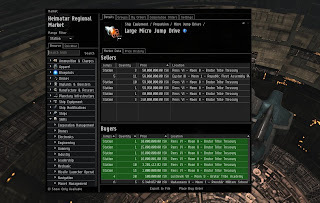 I did score a Micro Jump Drive which I built and sold. The market is insane right now and people are willing to spend a lot to access the new toys right now. 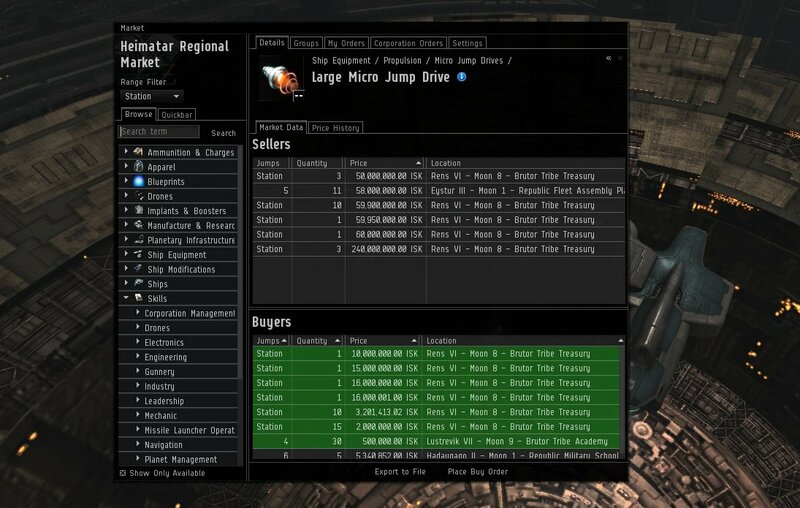 I would like to thank the people who purchased them for 50 million ISK. The things cost almost nothing to make and took 25 minutes for the three to be produced. It will be interesting to see how fast they decrease in price. hehehe, very nice sum up. It is very amusing to find that many players who have no clue about what has changed. And this "O god, my ganking now has consequences whining" is just delicious. I think the problem with all of this is that, as you pointed out, people who have NO clue (and didn't care because :hisec: and "didn't affect them") well, still have no clue. Even those of us who've read up and kept abreast of things, devblogs, etc, are still having a hard time figuring out what's what. Example: Yesterday I was in Hek on my Min FW alt. Somebody had public killrights on them, and someone else tried to activate them and couldn't. Then someone else undocked with a suspect flag, and people started shooting them (they were in a Sleip), now, according to what I READ, the FIRST PERSON who shot/scrammed/etc should have got the "limited engagement", and everyone else who shot/scrammed/etc would themselves become suspects. Only, NOBODY else became suspects, and one person reported getting a "CONCORDOOKEN" warning pop-up while trying to shoot the "still-suspect" Sleip. So yeah. Even with the blogs, notes, etc. Things aren't still quite "working as advertised" (if not intended)... so a little confusion is probably par for the course. And you know you were sitting right next to me when Soundwave unveiled his "Circle of Dickery" at Vegas, and I stand by what I said after that: "That's all fine and well, but he's forgetting that most of EVE is pussies and assholes."